Rain or shine, the wedding must go on! When you’re attending a spring event, you could run into unseasonably warm temperatures, a rainy day or even a late-season snowstorm. These spring wedding suit options will ensure you’re ready for anything Mother Nature sends your way. If the wedding falls on a mild spring day, try a lightweight linen suit made from soft flowing flax fibers or a loose-draping cotton suit. Both fabrics breathe well on warm days and air-dry easily when caught in a light spring rain at an outdoor wedding. Is the event indoors? Choose wool. It naturally keeps you warm if the air conditioning is too cool and breathes if you perspire in a warm venue. We love soft, cozy Super 130’s wool for the ultimate in comfort. 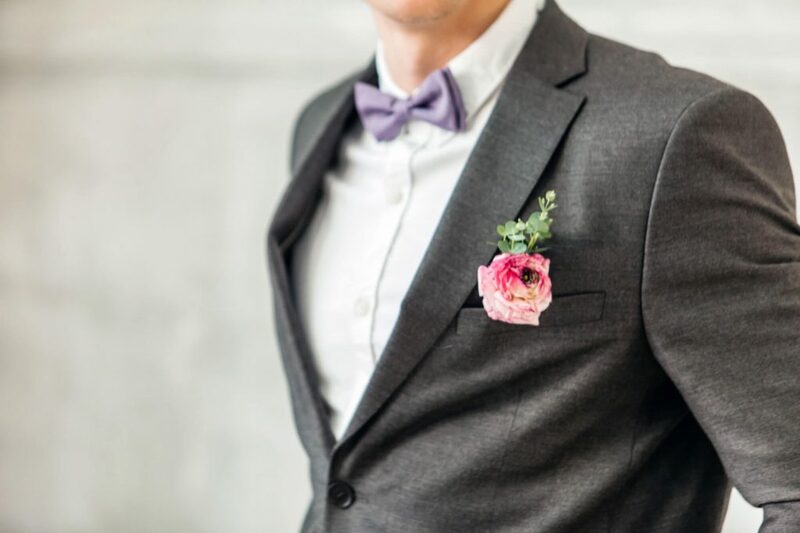 To see how sleek wool can look, check out the Ultra Slim Heather Grey Clayton Suit (also known as linen grey), a perfect pale shade to compliment the lighter, brighter colors of spring. In addition to grey, browse tans, whites, and two-tone black and grey suits – all are fashionable for spring events. As a guest, pair the suit with understated pastel pink, yellow, or green pocket square and tie. Feel free to play with classic patterns like stripes, paisley, or polka dots to show off your personality. If you’re in the wedding party and helping with formal wear color choices, call on nature for ideas. We love robin-egg blue, daffodil yellow, rich violet, and grass green when coordinating bridesmaids dresses and wedding suit accessories. Neutral silver or cream make beautiful accent colors. Now that you’ve found a suit and accessory colors to make your ensemble pop, be prepared for the unexpected. Bring along a formal overcoat and hat to wear as you travel to and from the event to keep wind, snow, and rain from dampening your look. 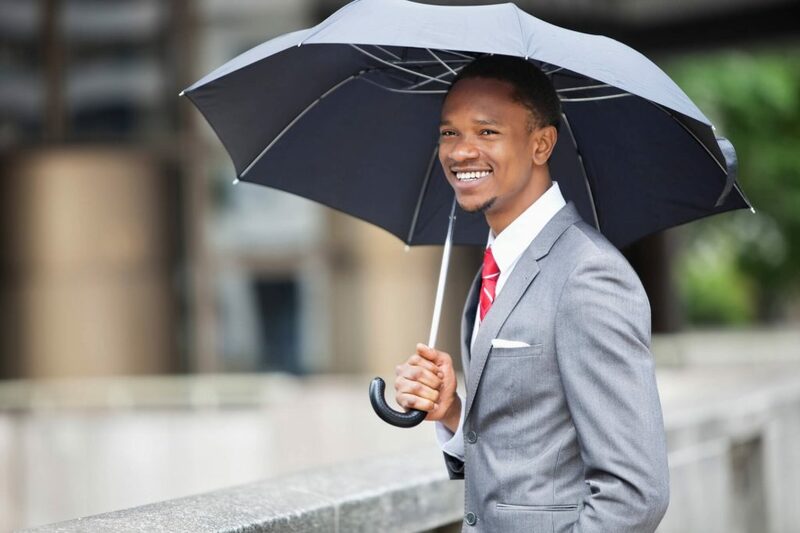 If you have a formal umbrella, this is the event to bring it to, even on a sunny day. Use it to shield yourself from an unexpected spring rain or to protect skin from too much direct sun. 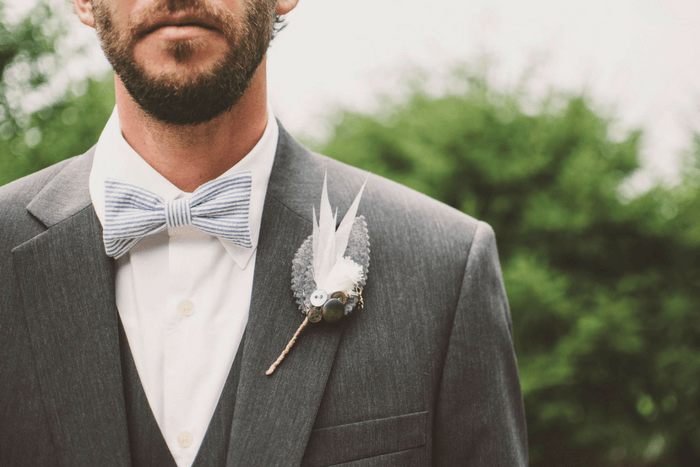 Are you ready to start picking out a few spring wedding suits that fit your style? Browse the Jim’s Formal Wear online Wedding Tuxedo and Suit Styles catalog for ideas.